Following the spindrift (and big surf) photos from Friday, I rented a Sigma 150-600mm lens and headed back out on Saturday. 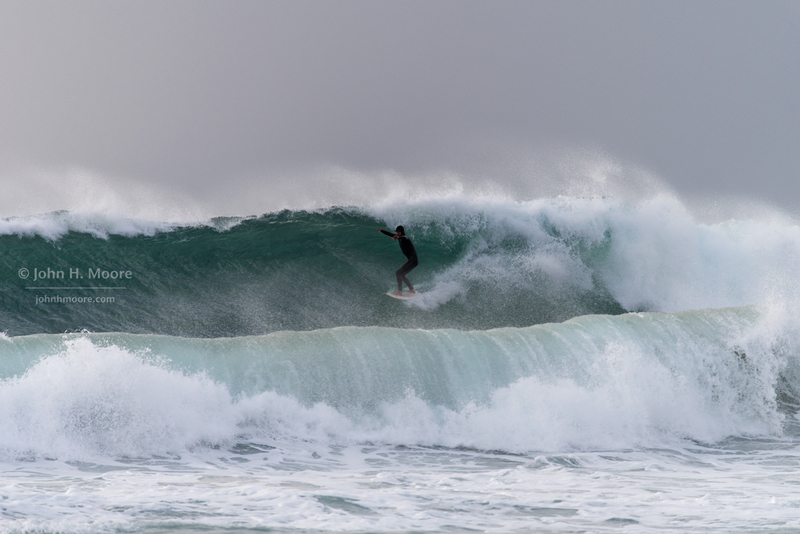 This weekend’s giant surf (forecast to peak at 18 feet on some surf breaks in San Diego) was supposed to peak Saturday afternoon. 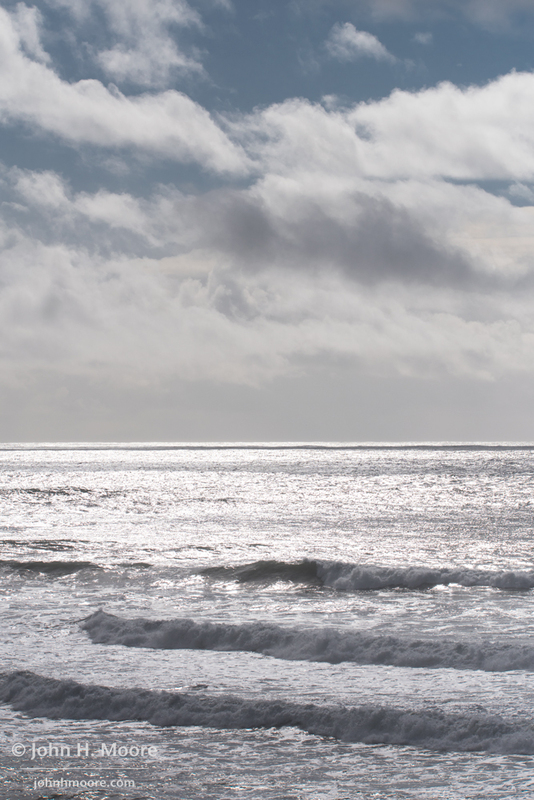 I visited Windansea, Bird Rock, and then Sunset Cliffs–all with mid-sized messy waves and zero surfers–and then, as the afternoon waned, decided to head back to La Jolla Shores just really because I couldn’t figure out what else to do. It looked like the big surf event was a non-event. Man, was I wrong! It was going off at the Shores. I’m not a great judge of surf height, but I’d guess that the bigger waves were more than double overhead. Looking across at the Point La Jolla, it looked like Boomer was also going off. In fact, you could see a SD Lifeguard PWC out patrolling the shoulders of the breakers. I stuck with one break at the north end of the La Jolla Shores beach that had a half-dozen or so surfers on it. The sets were huge. Too big, I think for the surfers, as no one attempted any rides at all the first 20 minutes or so that I was there. 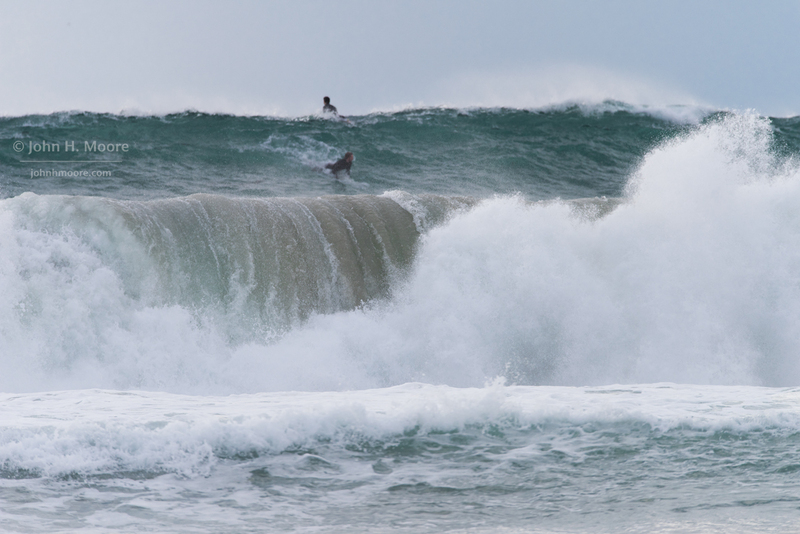 And throughout, I never saw anyone take the biggest sets–so as you look at the surfer shots below, imagine that these were the smaller waves that they were riding! 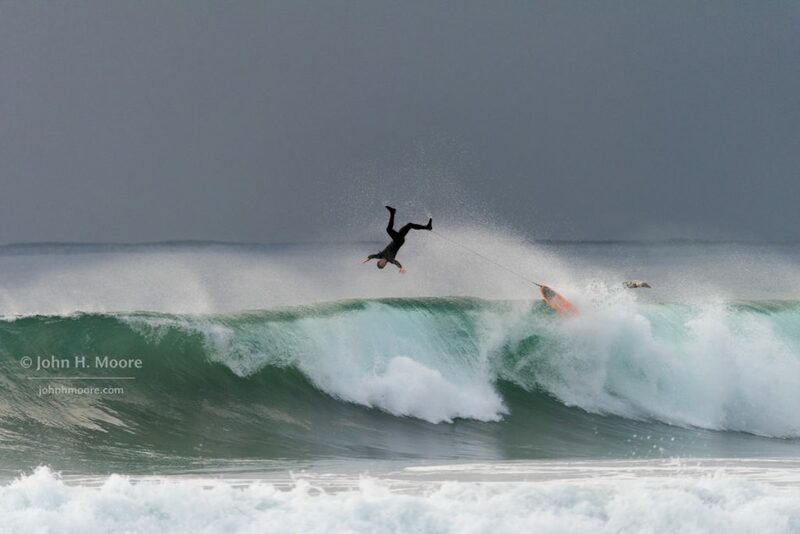 A surfer does a flip off the backside of a wave at La Jolla Shores. La Jolla, California, USA. Giant wave crashing behind a surfer at La Jolla Shores. La Jolla, California, USA. 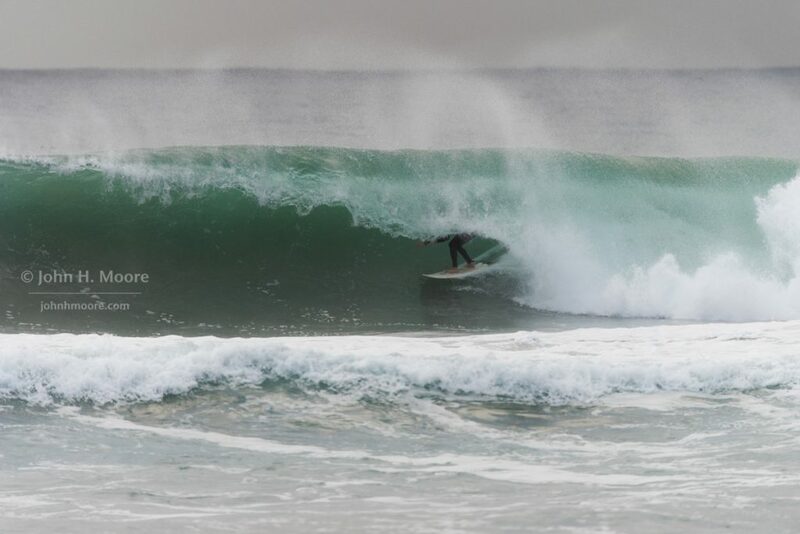 Surfer inside a barrel at La Jolla Shores. La Jolla, California, USA. How big is that wave? 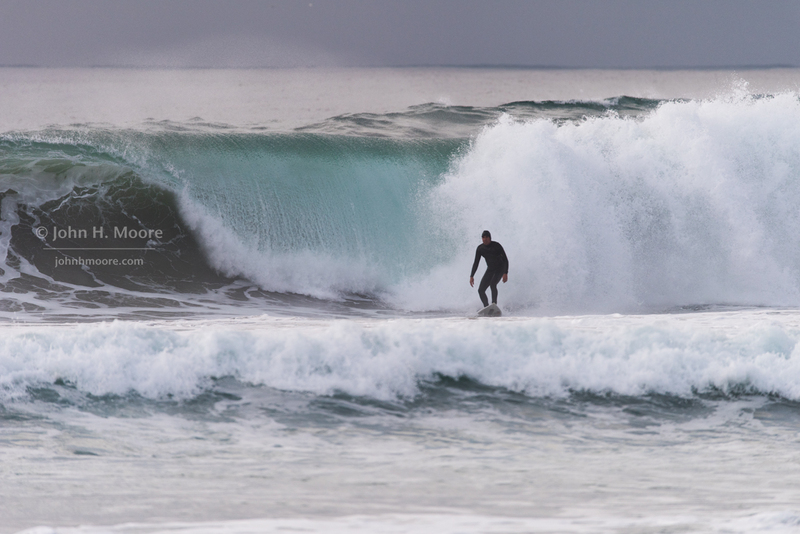 Surfer drops in on a big set at La Jolla Shores. La Jolla, California, USA. Waves and surfers stacked up at La Jolla Shores. La Jolla, California, USA. 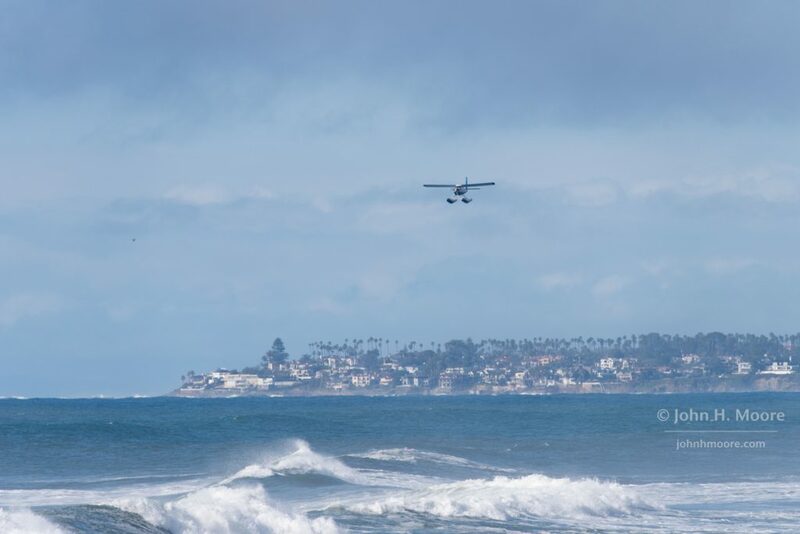 Seaplane approaching Sunset Cliffs in Point Loma, California, USA. 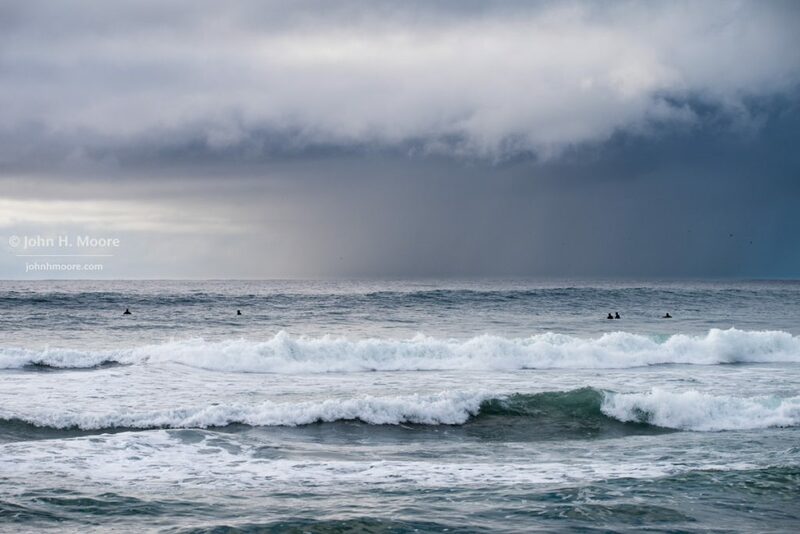 Rain approaches surfers off La Jolla Shores, California, USA. 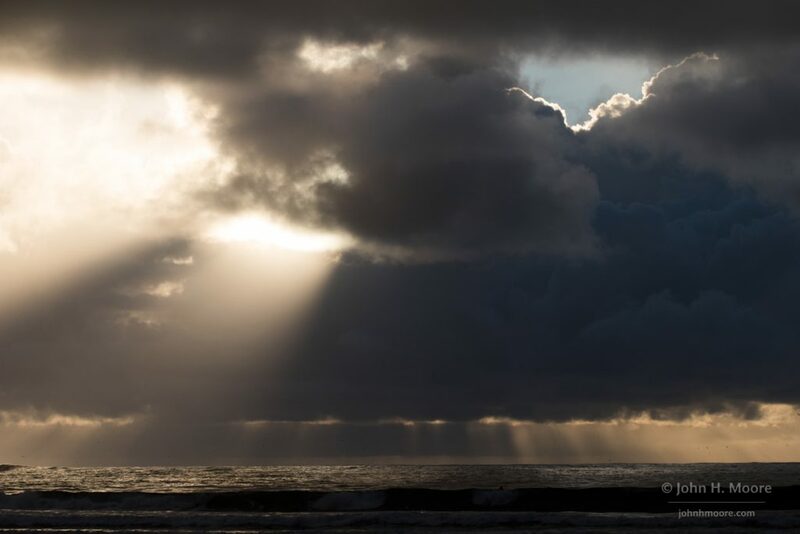 Stormy skies and light beams off La Jolla, California, USA. 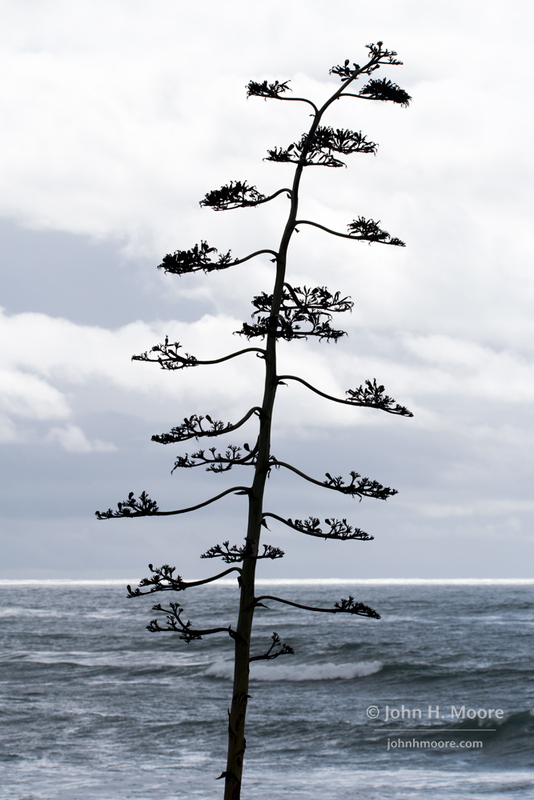 Tree at Windansea beach in La Jolla, California, USA. Yet more fabulous images, John! San Diego. Also the flipping surfer! Your work is outstanding…i am inspired as a writer…i want to go and see everything you are capturing…i want to be in these places soaking up the beauty and love and joy i behold….thank you, bless you!! I appreciate your work, your gifts, your talents…so happy i found you today! I needed this Joy!